Snow totals continue to shoot up at area resorts after signicant storms in December and January. Keystone Resort, which experienced its first-ever consecutive months to each surpass 70 inches, has now extended its season by a week to April 16 because of the accumulations. 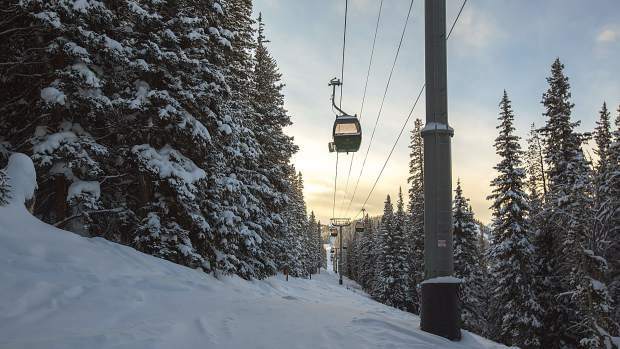 Summit County will see a break from storms until around Feb. 4, based on forecasts, after what has already been a sizable winter. It’s been big enough, in fact, that Keystone Resort announced late Wednesday that it already made the call to commit to a weeklong season extension through Easter Sunday, April 16. That’s after nearly 7 feet of snow in December for the sixth-snowiest single month in the resort’s history, and about the matching total in January, and counting. The region’s other resorts are no different. Arapahoe Basin Ski Area reports 95 inches for the month, which is double its usual snowfall for January. After 2 ½ feet fell there in a 72-hour period the second week of the month, the high-alpine ski area was forced to fold up operations midday due to avalanche concerns from the Colorado Department of Transportation on the adjacent Loveland Pass. It was the first time in memory a closure was necessary at A-Basin, and the area didn’t reopen for a full 24 hours. Loveland Ski Area, in neighboring Clear Creek County, just east of Eisenhower Tunnel, also reported about twice its historical snowfall for January, with a whopping 115 inches. That brings its season-to-date tally up to a region-leading 223 inches as of Thursday. This same time last season — measured at a slightly below-average year for most — Loveland was at 186 inches, which is a difference of more than 3 feet. Likewise, already counting 214 inches for the season and several more months of winter still on the horizon, A-Basin is well on its way to surpassing its 296 inches of aggregate snow during the 2015-16 season, and on pace to at least reach its annual season average of 350. Last year, the ski area didn’t close until mid-June. Loveland and Arapahoe Basin customarily duke it out to be the first ski area to open in the state each year. This season, A-Basin actually ended up being the first one to start spinning lifts in all of North America when it opened on Oct. 21. The rest of the resorts were slightly delayed due to a dearth of snow, with Loveland first opening almost a full month later, on Nov. 20, as just the second ski area in the state to unlatch its gates. Since then, however, it’s been anything but a dry spell in the county, as resorts work their way toward above-average totals, if not record months and possibly even all-time season highs. Keystone’s extension announcement gives a nod to that idea, and besting its reported 292 inches last season should be no problem, especially with the extra week into mid-April. At nearly 2 feet ahead of this same time last year — and with more than 70 inches in consecutive months in December and January for the first time since the resort opened in November 1970 — this winter may be one to remember.